Written by Regina Sanders. Media by Yecheng Wang. 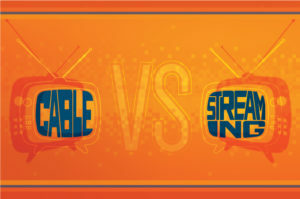 Do you prefer streaming content or cable? 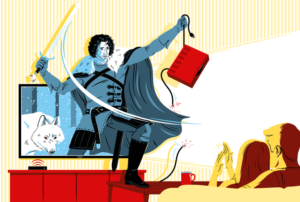 With subscription services like Netflix, Hulu, and Amazon, many television lovers are leaving cable and clinging to various apps with their favorite television shows and movies. So why are individuals “cutting the cord” and moving to other services? 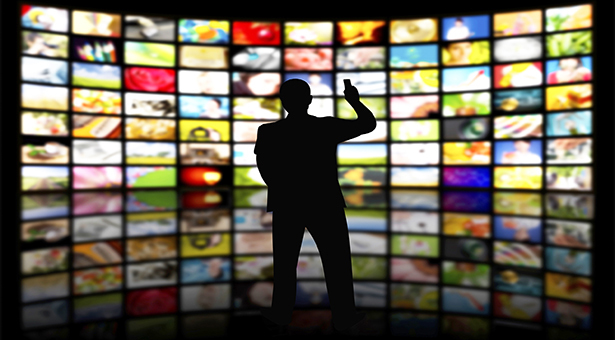 Streaming services allow users to watch the specific shows and channels that they enjoy. 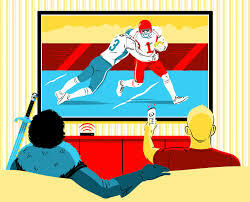 Why pay for an entire cable package when you only watch HBO, AMC, and HGTV? To some, it makes more sense to simply buy the apps provided by those channels. Or, for those who only like specific shows, it makes sense to subscribe to Netflix or Hulu and wait for new episodes. Streaming also gives the viewer the opportunity to sign up and cancel their subscription more easily than cable. Many are also excited by the idea of watching older television shows. For example, Hulu boasts “Golden Girls” for anyone who wants to go back and revisit this series. But another aspect of this is bingeing, or watching many episodes of a show in one sitting. Haven’t watched “The Walking Dead“? Want to get into it? Subscribe to Netflix and you can binge-watch every season you’ve missed! With viewers operating on tunnel vision, only watching certain shows and channels, hoping to save money, and engaging in the popular concept of binge-watching, streaming continues to be a popular choice. But will cable find a reprieve? Popular streaming service Netflix will raise prices on October 19, 2017, notably ahead of the “Stranger Things” season two premiere. All current subscribers will have a 30-day notification before they pay more. While the most basic plan will remain $7.99, the standard subscription will increase from $9.99 to $10.99, and the premium subscription will increase from $11.99 t0 $13.99. Netflix hasn’t raised their prices in two years, and this change could potentially alienate some users. This past September brought the premiere of “Star Trek Discovery” on CBS. According to their official press release, the pilot episode “A Vulcan Hello” aired live on CBS. The following episodes, however, are available to watch on CBS All Access, the company’s own take on a digital streaming service. This latest Star Trek installment is only the second original series on Access, and many hold the opinion that that isn’t enough to warrant the purchase of a new streaming site. much Disney in one place, some see this move as just another streaming service to acquire. For now, the debate continues. Both cable and streaming platforms offer their pros and cons. Only time will tell which will win the debate. Let us know in the comments what shows you’re binge-watching this weekend, and whether you think cable has a chance of catching up.